I Like to Knit: Hello, Berlin! Orange leaves, pumpkins, and a chill in the air... Knitting season has arrived! Just like many other knitters, my knitting slowed down this summer. There is less always motivation to finish a warm, woolly jumper when you won't have much opportunity to wear one. I was also working from 8am til 11pm at a summer camp in the Swiss Alps, so time spent alone was rare. I think I completed two sleeves over the course of the whole summer, and they weren't even full-length! After the summer I moved to Berlin, and it didn't take long for autumn to catch up with me. Now that it is unmistakeably October, I wish I had finished my jumper during the summer! It's still languishing on the needles, waiting for me to complete the last few inches. So what's Berlin like? It's definitely a city with character. 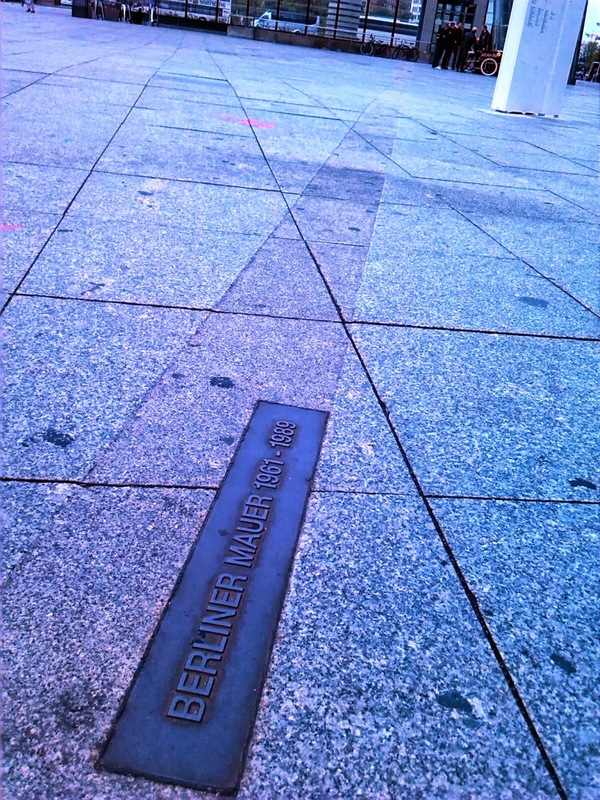 This is where the Berlin wall once stood. I live on the east side of the wall and always wonder about living conditions here during the Soviet era. 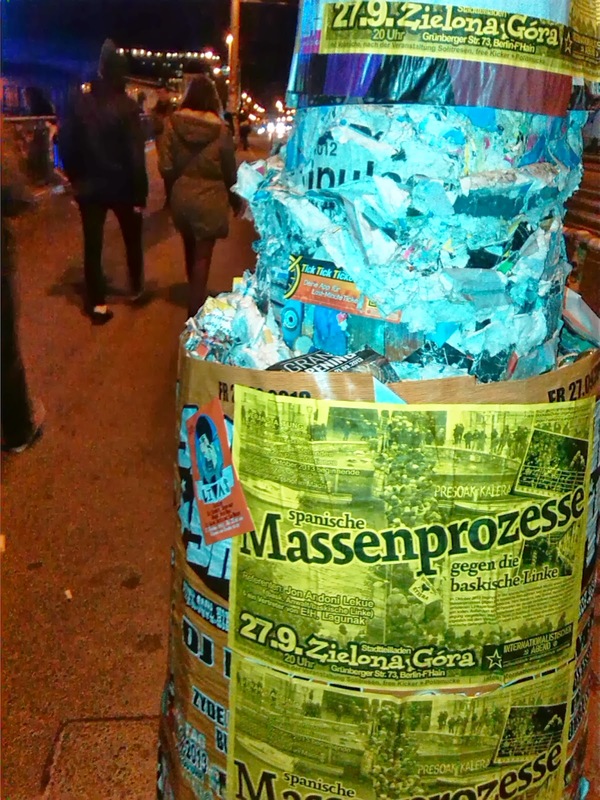 This street lamp has years and years of posters stuck to it. And of course there's graffiti everywhere. But most importantly... It has knitting! 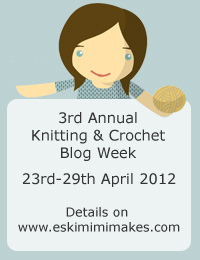 Well, knitting and crochet! Now I just have to scout out a good LYS and maybe a knitting group. 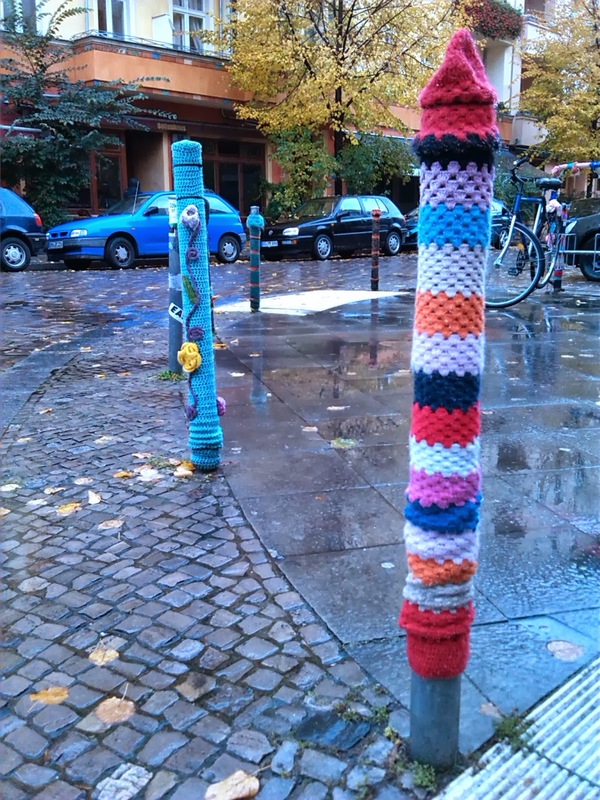 With yarnbombing like this, there must be knitters around here somewhere!